Edinburgh is a modern city with a long history. Visitors find a wide range of things to do, from exploring the medieval Old Town with its famous castle positioned at the top of the Royal Mile, shopping in the eighteenth-century New Town, to walking up Arthur’s Seat with its panoramic views over the city. Founded in the twelfth century, Edinburgh grew around the strategically important castle at its centre which still dominates the city today. As it grew, Edinburgh became increasingly important as an economic, political, and ecclesiastical centre, marked by the fourteenth-century Cathedral of St Giles and the nearby seventeenth-century Parliament House. 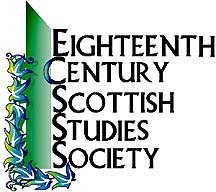 Eighteenth-century Edinburgh was at the heart of the Scottish Enlightenment, home to major literary and philosophical figures including Elizabeth Hamilton, David Hume, Adam Smith, Adam Ferguson, James Boswell, and Sir Walter Scott. In the 1760s, James Craig began building Edinburgh New Town, a rational and spacious city to ease the overcrowded Old Town. Increasingly prosperous, Edinburgh was at the centre of a movement to assert Scottish identity within the British Empire, a movement that culminated in 1822 after Walter Scott recovered the Scottish crown jewels, and stage-managed a famous visit to Edinburgh by the new King, George IV. Today, Edinburgh is a modern city of half a million people, with a wide range of shopping, hotels, restaurants, and nightlife. As well as the University of Edinburgh, it is home to Napier, Queen Margaret, and Heriot-Watt universities, as well as the National Museum, the National Library, and the National Galleries of Scotland. Famous for the Festival held every August, since 1999 it has also been home to the devolved Scottish parliament. 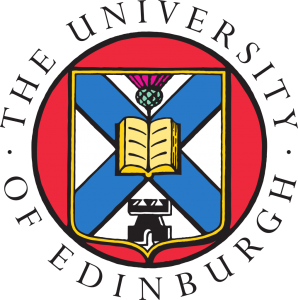 The University of Edinburgh is one of the ancient universities of Scotland. Founded in 1583 and centred on historic buildings in the heart of the city, it also boasts a wide range of modern facilities and accommodation options. Currently ranked in the top five UK universities, and within the top 20 worldwide, it continues to produce world-class research and education more than 400 years after it first opened its doors. The University is located in the Old Town, about 500 m walk from the Royal Mile and about 1 km from Waverley Station. The Congress will be based in buildings around George Square and Bristo Square, with keynote talks in the McEwan Hall (175 m walk from George Square) and a grand receptions in the National Museum of Scotland (400 m).